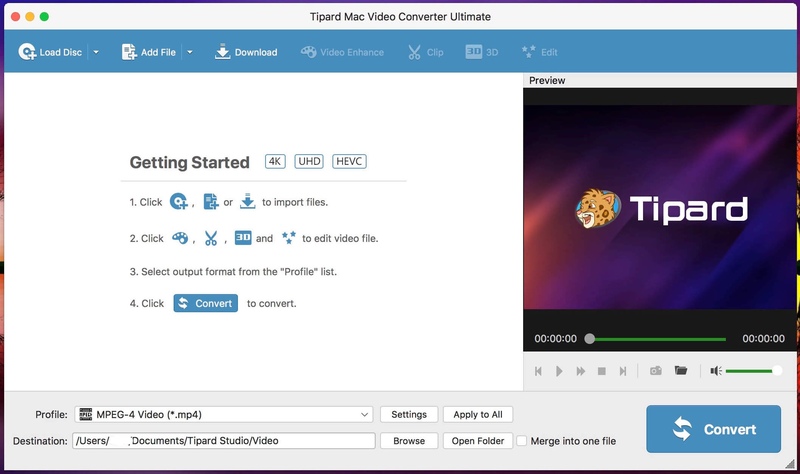 Tipard Video Converter Ultimate can convert any video to MP4, AVI, MOV, WMV, MP3, etc. It can meet your demands with powerful editing functions to crop, clip, set 3D mode, rotate video, etc. You can also enhance video quality before converting by removing video noise and reducing video shaking.